Mix and match the ingredients to get a different meal each time! Think about what ingredients you would like to add and how they will taste together. You can make ahead and reheat as needed. It’s easy to make vegetarian, gluten-free, dairy-free, low-salt, or adjust in any other way you might need. And, of course, you can throw this together easily from the things you’d find in a food hamper. Even kids will gobble it up! In a large skillet or frying pan combine 1 grain, 1 vegetable, 1 meat/alternate, 1 liquid/soup and seasonings of your choice from the list below. Bring the mixture to a boil. Reduce to low heat, then cover and simmer for 25-30 minutes. If the liquid dries up before the cooking time is complete, just add some water. You can also add extra liquid and turn your casserole into a soup or stew. Add a topping before serving. 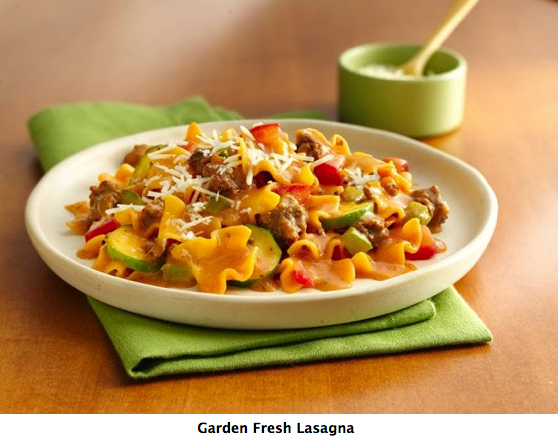 Hint: You can also break up long pasta such as spaghetti or lasagna noodles. Variation: You can also bake the casserole in an oven-safe glass dish at 350oF (180oC) for about 1 hour or until it is hot and bubbly. 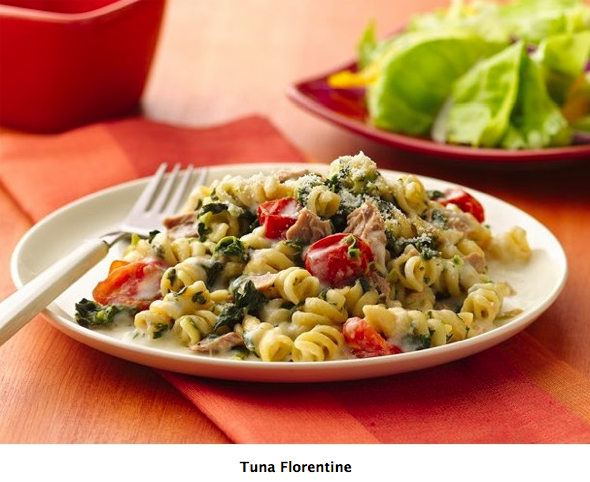 Rotini noodles, spinach, tomato, tuna, cream of celery soup, garlic powder, lemon zest. Broken lasagna noodles, fresh zucchini, tomatoes, hamburger, cream of mushroom soup, garlic powder and oregano, grated cheese. What did we miss? Any essential ingredients that can be found in anyone’s cupboard? Recipe pilot tested by the Peel Community Food Advisors. ← Digging up Gardening Supplies on the Cheap.